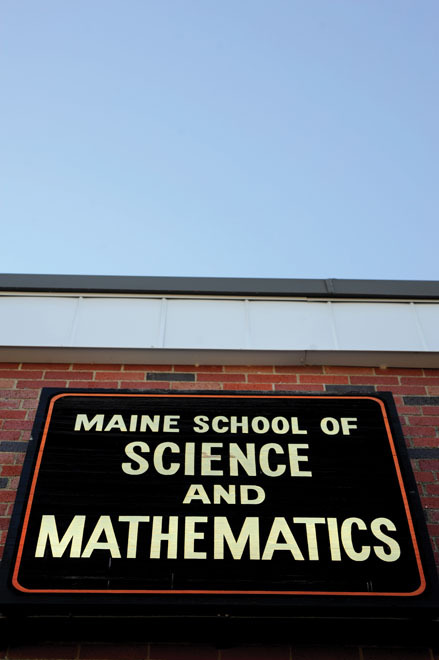 When an Air Force Base moved out from one of the most rural corners, Maine School of Science and Math moved in and young ambition followed. We arrive mid-morning on a gray November day at MSSMs academic building, just off Limestones wind- whipped High Street, to meet executive director Luke Shorty, who walks photographer Fred Field and me down the long hallways of the building MSSM shares with Limestones one remaining junior- senior high school. We pass by science labs, a gymnasium, an auditorium, and a junior Olympic-sized swimming pool, which is as likely to contain students testing submersible robots as a team of swimmers. The facilities are all courtesy of the U.S. Air Force, which filled the town of Limestone with airmen and women and their families for almost half a century when nearby Loring Air Force Base served as one of the countrys largest Strategic Air Command centers during the Cold War. However, when the U.S. Defense Department closed Loring in 1994, Limestone went into a nosedive as the towns population plummeted from over 10,000 to 2,000 almost overnight. Five of the areas schools were padlocked shut. 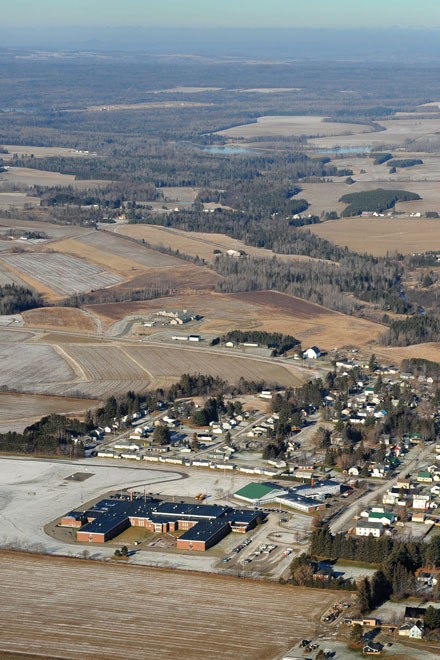 When bases closed in other rural communities in America, some became federal prisons, which preserved local employment, but the enterprising citizens of Aroostook County did not want to create a prison town. They opted instead for establishing a magnet school that specialized in science, technology, engineering, and math and was filled with state-of-the-art equipment, which is not your average community response to a catastrophic economic change. 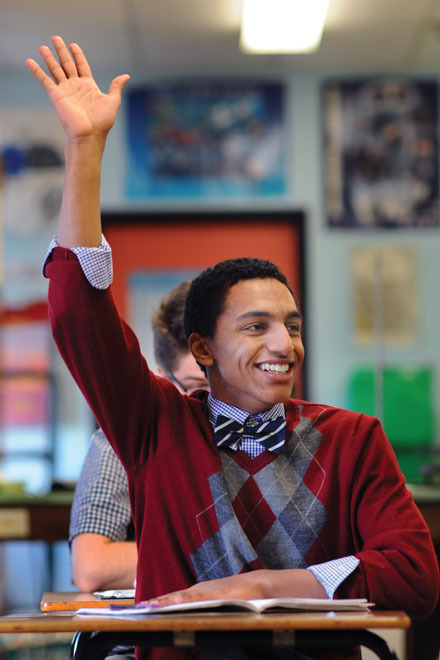 A perfect school that was empty, is how Shorty described the opportunity. Shortys own story has a lot in common with MSSMs. Shorty is 35 years old, passionate, adventuresome, energetic, and not your average school leader; MSSM is 20 years old and full of passionate, pioneering, hardworking students and staff, none of whom are average either. When we sit down to get acquainted in his office, the first thing we notice is the penguin on top his bookcase. Shorty tells us that penguins are the schools mascot, as voted by students: Penguins are odd birds and were kind of odd birds, he says. 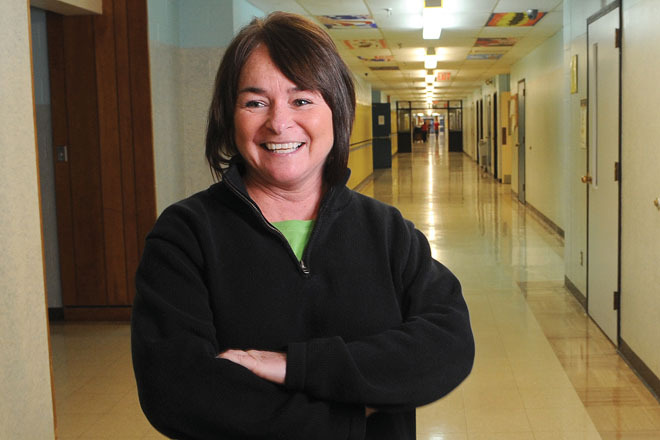 Shorty, who grew up in tight-knit Fairfield, is MSSMs first leader to have graduated from the school, three years after its doors opened in 1995. Shorty loved that at MSSM he had friends from all over the state, from St. Agatha to Kennebunkport, many of whom he is still in touch with. After MSSM, Shorty graduated from the University of Maine, Farmington, with a degree in math, followed by a masters degree in math from Montana State University. By his own description, Shorty is jazzed about the place, partly because the kids are interested in all kinds of things. 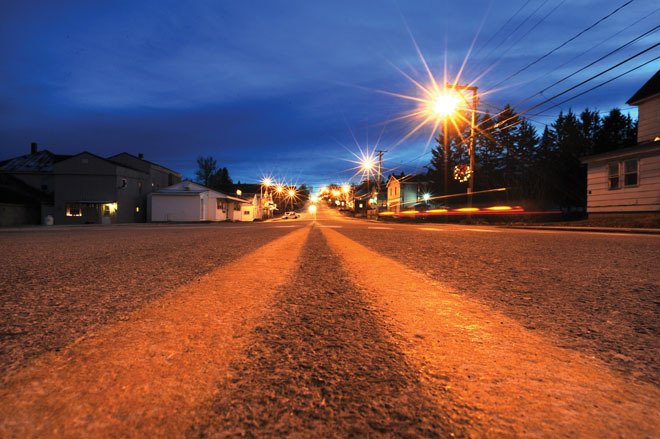 Its a beautiful thing. He wants to help students become persistent problem solvers and also give them a highway that shows how to reach their destination. 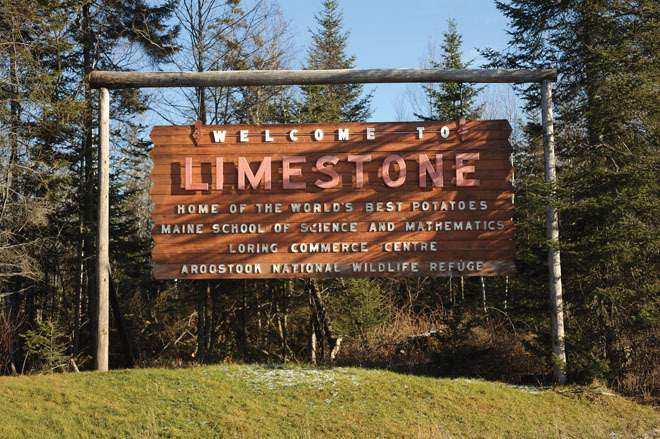 Most of the 16 faculty members have masters degrees or PhDs, and those with advanced degrees can become adjunct faculty at nearby University of Maine at Presque Isle. Shorty stresses that the school fosters collaborative learning, not competition, because we are all being challenged here. There are no GPAs or class ranks at MSSM. Perhaps for this reason he does not even mention that in 2013 U.S. News and World Report ranked MSSM number 13 on its list of Americas Best High Schools. 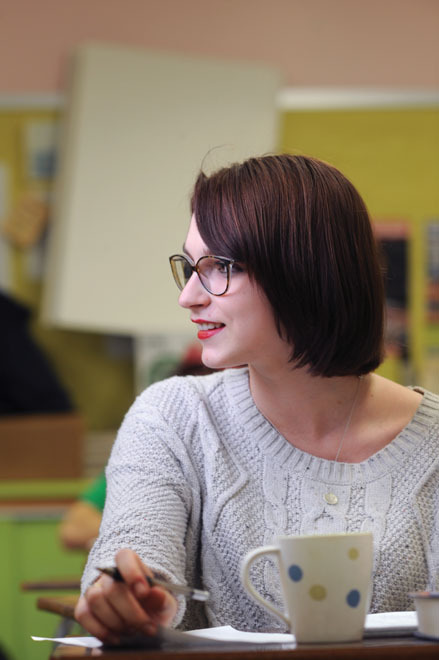 We meet Maddie Williams, a senior who has been at MSSM all four years of high school, in the lunchroom. We sit down at her usual spot and meet three of her classmates. Emma Herring, like the fish, says the first young woman who greets us. Brennan Lane, like the road, says the young man next to her, taking up the trope. And Aly East, like the direction, says the third. They each explain what attracted them to MSSM. 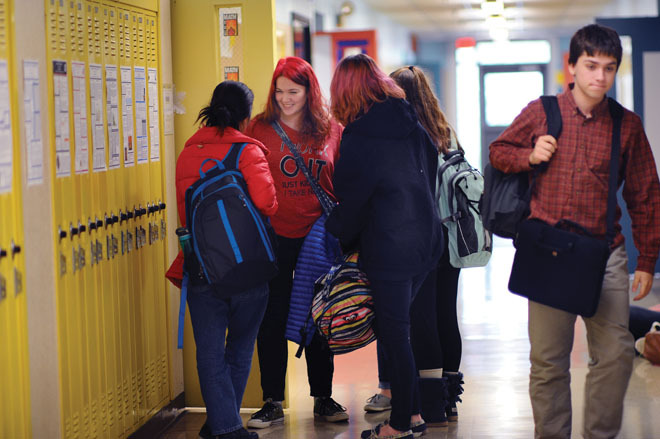 When Maddie applied as a freshman, My sending school was the fifth- worst in state and lost its accreditation. Four years ago, MSSMs gender balance was one-third female, but, she says with evident pride, Now its 50-50. Brennan, who grew up in Bridgton, says, I really self- advocated to be here because at my sending school, the classes didnt challenge me at all. Alys reasoning is also straightforward: Were in the middle of nowhere here, so theres a focus on academics, and she mentions that her last class ends at 8 p.m. tonight. Still, she says, I spend my weekends climbing. And she points to the bruise on her cheek she got the previous weekend when she tripped on an easy section of a trail after completing a challenging vertical climb. These students, who are all seniors, are intently focused on their future. Maddie sees herself eventually as a trauma unit doctor. Aly, who once had resigned myself to a business degree, instead found that lab sciences sparked my interest in a different route. She is interested in field- data collection focused on climate change. Emma, who is studying psychology and political science at MSSM, can imagine herself after college as a behavioral analyst at the FBI, and adds, It never occurred to me in Belfast that I could actually go to a nationally ranked college. Brennan is the only one of the group who is charmingly uncertain. I really dont know what I will do, he says. After lunch with these impressive students, we wander down to one of the math classrooms to speak with Pete Pedersen, chair of MSSMs math department. 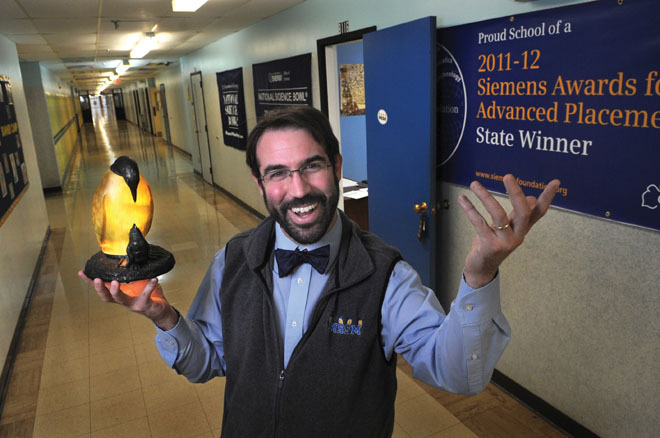 I first met Pedersen a decade and a half ago on Vinalhaven, where he was recognized as Maines Teacher of the Year in 1999. After Pedersen got into a disagreement with his superintendent about a proposed change in the math curriculum, he went looking for another teaching assignment. Pedersen landed a teaching job in Bangor on a Friday afternoon, but decided to drive north to MSSM for a weekend interview. He recalls, These guys really sparked me and I wanted to do more. He was concerned, though. Did I have the skills to be here? Plus he would have to take a pay cut. 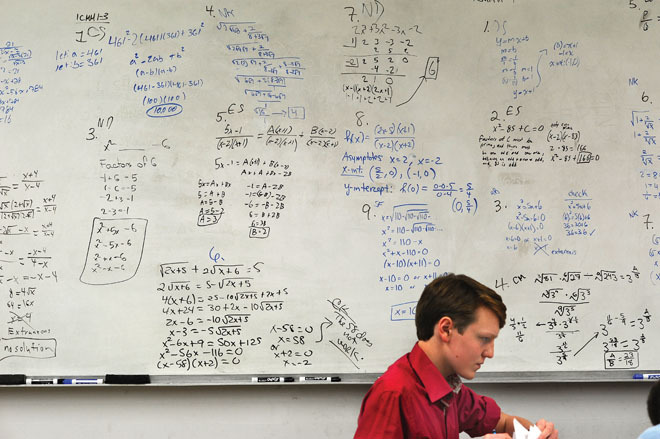 But the clincher was, They told me I could take over the math team. One third of MSSMs current enrollment of 154 students, Pedersen proudly tells me, is on the math team. And perhaps because he is an island boy, he was not daunted by the isolation. The end of our visit is nearing, so we loop back with Shorty, who takes us by the Maker Space room, full of all kinds of tools, kits, and technology for assembling things. It used to be the art room and still is the center of creative activity at the school. Rocketry is big here, as is astronomy. Shorty points out Goliath, MSSMs nine-foot telescope, which students use to scan the night sky in a region where light pollution is virtually absent. MSSMs associated foundation helps the school raise funds for such equipment. They also assist with expenses such as solid fuel for experiments that send rockets a mile high over campus. Shorty, with the help of his wife, Lisa, who was the director before she headed off to medical school, has also built up the schools summer program. The program has two sessions, creating year-round learning opportunities with such off-the-wall courses as Crime Scene Investigation, Chemistry, and Prosthetics, which carries the course title Can You Handle It? Between 40 and 50 percent of MSSMs summer camp students love their experience and enroll for the regular academic year. Shorty emphasizes that one of the goals enshrined in the legislation that created MSSM is to attract students from all over Maine, which it does. 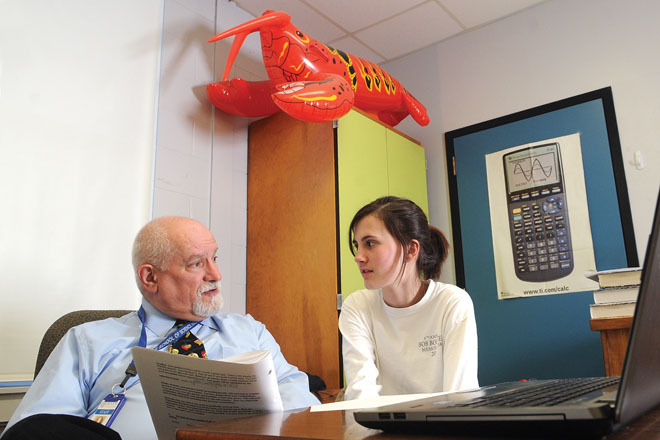 But the bigger challenge may be keeping MSSM students in Maine once they have rigorously tested their mettle and graduated with ambitious plans for their future. MSSMs website lists the colleges where members of the class of 2014 are attending. All of Maines most prestigious colleges and most of the University of Maine campuses are included among the 77 listed. Between 10 and 15 percent of MSSMs graduates stay in Maine for college, nonetheless, a substantial number return to graduate from Maine institutions for financial or family reasons or simply because the bright lights of a distant city can dim with time. Although the students with whom we spoke would all opt to move the school to a more populated part of the state in a heartbeat, as one put it, if given an option, Shorty disagreed. He cited his own experience of being attracted to MSSM as an exciting new adventure, and stressed the importance of the pioneering spirit to the kind of learning that goes on at almost all hours of the day and night at MSSM. In that sense, MSSMs students are reliving an archetypal American frontier experience, forming a tight community along their journey with other seekers they are unlikely ever to forget.